Dr. Shalom is an Associate fellow of the National Postgraduate Medical College of Nigeria (NPMCN) and a Member of the West African College of Physicians (FWACP), both in Community Health. She currently practices as a community Health physician in the Department of Community Medicine, University of Nigeria. She is also a research associate at the Health Policy Research Group, University of Nigeria Enugu campus. 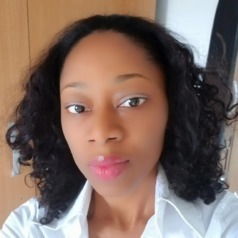 Her early career contributions have focused on clinical practice in tuberculosis and HIV patient care and management; applying knowledge and skills in building the field of health policy and systems research in Nigeria and strengthening capacity of policy makers and practitioners in the use of evidence for policymaking and practice. Her main research interests are on health services research; health systems governance and accountability; analysis of health policies, plans and strategies; and getting research evidence into policy and practice. She has participated in consortium research project such as RESYST and is currently part of the Anti-Corruption Evidence Research Consortium (ACE). She is a member of professional networks such as: (i) Association of Public Health Physicians in Nigeria; (ii) West African College of Physicians.